I went to Lviv in Ukraine to speak on SQL Saturday. As I saw the city in 2014 (pictures here), I did not stay an extra day. 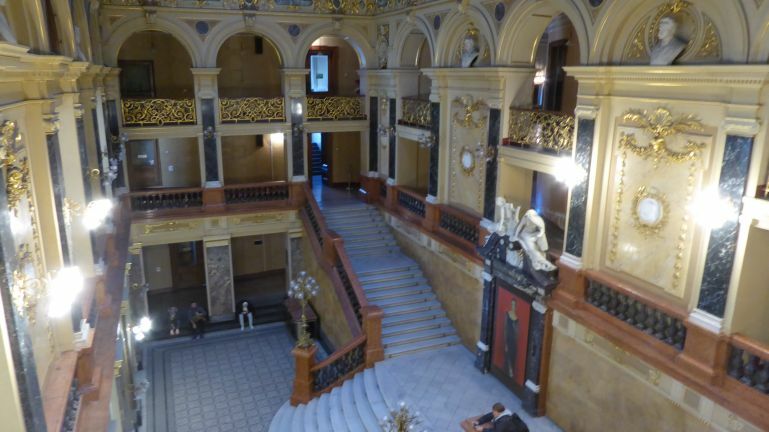 They had arranged a guided tour for us speakers, and we were taken inside the very elegant opera house, which I did not visit in 2014. This is the hallway just after the entrance.